I got to talking to Mike a few weeks back about what he thought were the top five most recognizable MLB baseball caps. Although I can’t quite remember what we ultimately decided on, we both agreed that baseball cap recognition could be attributed to the hip-hop movement with the help of musical artists such as Jay-Z, Dr. Dre and Eminem. Letters in various fonts have now become almost universal symbols for cities lucky enough to have professional baseball teams. This topic got the gears in my head turning about brand identity in our countries largest cities. More specifically the branding of metro Detroit and Michigan as a whole. The most relevant and largest campaign for our state is the “Pure Michigan” series of television and radio ads that use the distinctive and well-known voice of one of our own, actor Tim Allen. Unfortunately, the funds needed to keep these ads running in neighboring markets such as Ohio and Chicago have dried up. I’ll be the first to admit that it may be one of only a few commercials that I would either turn up the volume on or not have the urge to change the channel. The campaign has been so successful and recognizable for the state that if you’ve left the state, upon returning, you’ll come across new signs welcoming you to not only the great state of Michigan, but rather “Pure Michigan.” It’s also been praised by the critics as being one of the best PR campaigns. 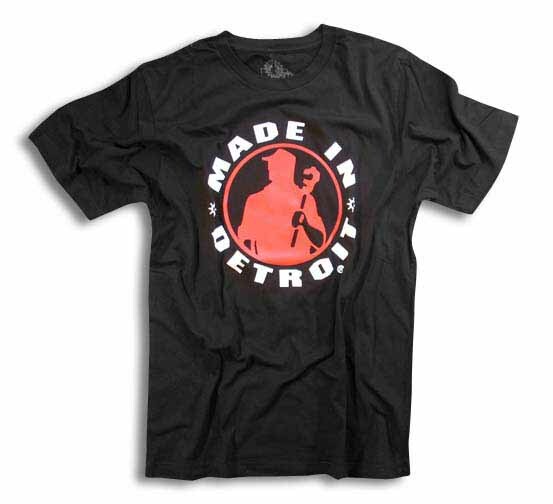 Both the Old English D and the Pure Michigan ad series have worked well for the state, but to take it a step further I’d like to focus on how t-shirt designers and manufacturers within our region are also making an impact on the image of Detroit seen by some as both positive and negative for how we’re perceived by outsiders. It’s a design I’ve seen before but would not necessarily ever buy. I think it’s a clever idea but intended to shed light on a stigma that our city has been trying to shake for nearly 40 years. 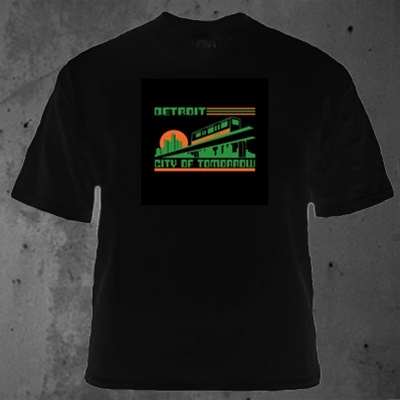 I guess you could always result to saying “Any press is good press,” but there is an array of other shirt designs that would show Detroit in a different light. 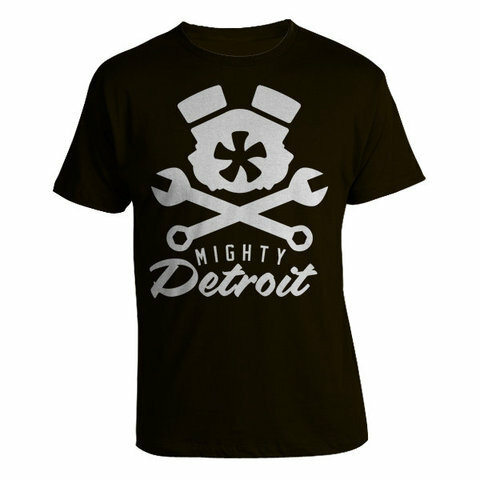 With that being said, I want to highlight some of the designs and the people/companies behind them that are promoting a more positive image of Detroit through creativity. T-shirts and hats continue to be a way for fans and citizens alike to show their allegiance to sports, colleges, cities, etc. 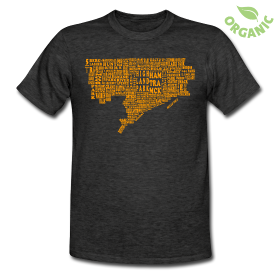 Reality television personalities have been known to wear shirts representing their hometowns. Most recently, Sahar Dika, a housemate on MTV’s The Real World: New Orleans and native of Dearborn, Mich., was seen several times wearing shirts bearing our states’ name. Former cast from previous seasons have also been know to show their hometown pride through clothing. 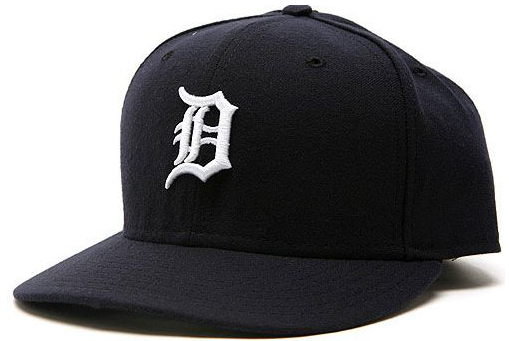 The Detroit Tigers baseball cap became a cultural icon when Tom Selleck played Thomas Magnum IV, a Detroit-born third generation naval officer, in the hit TV series Magnum, P.I., throughout the 1980s. At the time the show was rated as one of the highest-rated shows on U.S. television, exposing that hat to millions of people from around the country. As times change and new designs are created, one thing seems to stay consistent; the people of Michigan enjoy supporting the region through the clothes they wear. 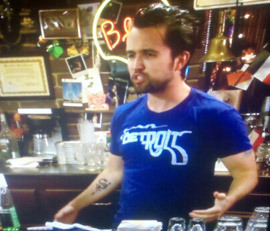 This entry was posted in Detroit, Fashion and tagged always sunny in philadelphia, detroit, detroit clothing, detroit manufacturing, down with detroit, hiphop, made in detroit, mighty detroit, pure michigan, Tourism. Bookmark the permalink. I enjoy the site, keep up the good work.